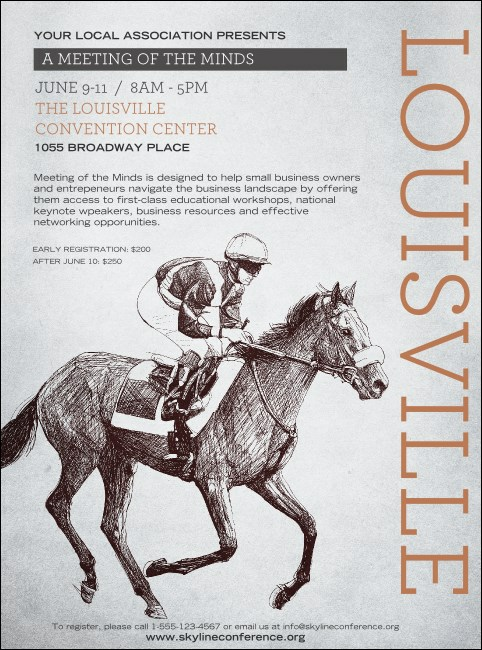 Get your next Derby City event noticed with the Louisville Flyer. With a black and white race sketch and grey tones, this flyer presents a classic Louisville scene. Make it a Triple Crown affair with an affordable Matching Event Kit. From the West End to the East Market District, choose this classic flyer for your event in the 'Ville. Promote your next Louisville event with the right flyer from TicketPrinting.com!